Mildew, that unsightly black mold, tends to lurk in moist, dark areas such as your shower. Stop it before it takes over your bathroom with the tips in this short article. Mildew is a problem in many bathrooms and it can be one of the most difficult things to get rid of. 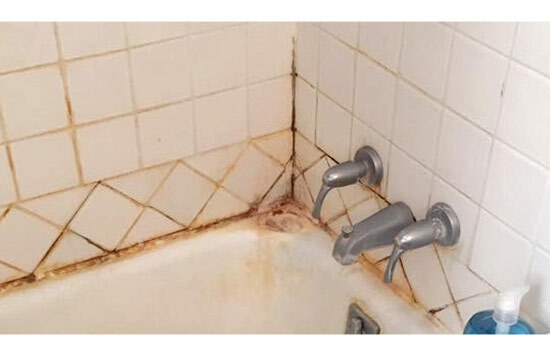 This moldy growth appears as black or green spots and may appear on the grout between tiles or even on the walls and ceiling of the bathroom. While unsightly, it doesn’t do much damage except to people who suffer from mold allergies, since mildew is a form of mold. Preventing mildew requires knowing what it likes in order to grow. Bathrooms are popular areas for mildew to reproduce, but it can grow anywhere that there is a little moisture. 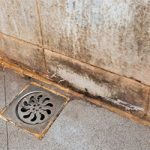 For this reason, under sinks, and in the shower are the most common places to find this ugly mold. 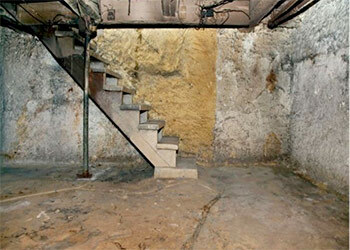 Basements and laundry rooms can also be susceptible, as can any area that has been flooded or is consistently humid. Mildew enjoys dark areas as well as damp ones, so under the bathroom sink is an ideal area for it to grow. Since showers tend to be darker than the rest of the bathroom and provide a warm, moist environment, the mold loves these areas as well. By keeping these areas as dry as possible and well-lit you can avoid a lot of the mildew from growing. Installing a fan in your bathroom can help eliminate the excess moisture after a shower and this helps prevent mildew from forming. If you don’t have a fan and can’t install one, open the window during and after each shower. Leaving the bathroom door open as well will allow a drying breeze to pass through. Close glass or plastic shower doors so moisture isn’t trapped in the pockets between the two doors where it will promote mold growth. Shower curtains are another common area that mold grows and you will want open the curtain after a shower so it can dry completely. By cleaning daily, you can also prevent the build-up of mildew. It may begin to form, but it is far easier to clean in the beginning stages rather than later on. Use a mildew-killing cleanser to eliminate the mold right from the start. If you apply it daily, the mildew will never get a chance to grow properly and you don’t have to deal with ugly black stains later on. Mildew is a nasty mold and it is most abundant in bathrooms. To avoid having black or green stains on your walls and in the shower, make sure you keep the room as dry as possible and well lit, avoiding as much as possible the conditions that help mildew to thrive. 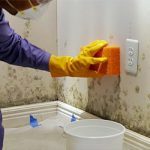 Related Posts of "How to Prevent Bathroom Mildew"